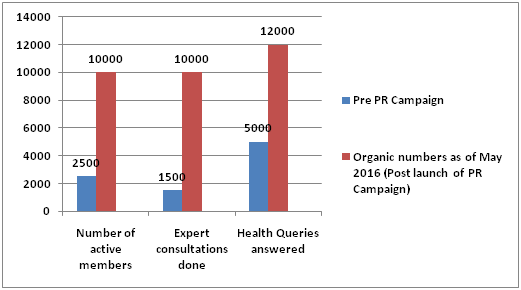 The PR case study of the month, features the FitCircle campaign using Chat Bots. What is the campaign all about: Key task of the campaign was to highlight the unique technology of chat bots that they were leveraging to communicate and engage with users on their app. What are Chat Bots? - In simple terms Chat bots are computer programs that can be that mimic conversation with people using artificial intelligence. So these intelligent bots are programmed to answer queries through these platforms. The bots also track user's preferences and accordingly give personalized solutions. The team aggressively educated the media on Chat Bots for one month much before they came under limelight after global giant Facebook mentioned them as the next tech revolution in the F8 conference. Because the team had already built a strong base on this topic, majority of the media featured FitCircle as one of the leading startups in India who had already adopted this new innovation way before it came in limelight. The startup was positioned as a voice on Chat Bots and was featured in a number of Industry articles on this topic and had more coverage share then its direct competition in this particular technology space. Educate the media on the technology revolution Chat Bots: Information on chat bots was limited at that time as the trend was only popular in US and a buzz was created in India only after Facebook's announcement in February on bot store. Facebook focus was anticipated. The team wanted to create a strong base for FitCircle before the Facebook bot buzz was created in the media. Showcasing the technology behind the walls: The team identified and explored technology centric stories to roll out a series of articles on the innovative chat bots (computer programs that mimic conversation with people using artificial intelligence) that were being used by the startup to communicate and engage with its users. The PR team positioned FitCircle as the leading voice on chat bots and explored standalone as well as industry stories on how chat bots are creating new branding channels for Indian companies positioning FitCircle as one such company which has already adopted this growing trend in India way before Mark Zuckerberg announced Facebook’s plans to launch bot store in February this year. Coverage Highlights: Team explored 2 angles on bots. One was focussed on the technology behind this new revolution. The other focussed on how the companies can use this technology in their specific business’s which will redefine consumer engagement. Industry as well as individual articles were featured in key publications like Economic Times, Hindustan Times, Business Insider, Business World (interaction done by Mala Bhargava), Express Computers. Economic Times Print story done by Shilpa Elizabeth – The story was initiated by the team after pitching a unique angle to the journalist on how Indian start-ups are now using bots and piggybacking on already existing platforms like whatsapp, facebook bot store to engage with consumers in a faster turnaround time. 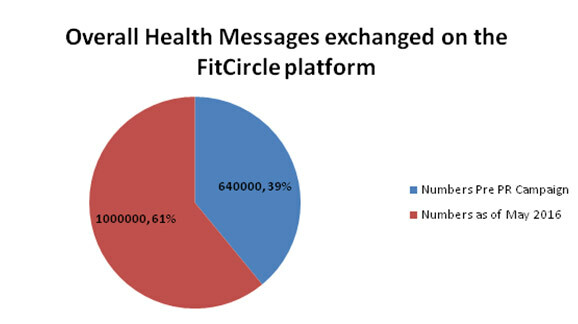 Specific example was leveraged in terms of FitCircle’s business on how bots can redefine the consumer engagement between FitCircle users who are seeking quick solutions regarding nutrition and health from the chat based platform. Hindustan Times, Sneha Mahale- A story was initiated by the team with Hindustan Times which focussed on the technology behind bots and why the world is going gaga over it. The story was featured twice in print under different headlines. One was in the lifestyle section of HT City and another in tech section of HT main paper. Express Computers: Story done by Express Computers on bots spoke about the technology opening up new branding channels for companies which was one of the key messages of the startup. The story mentioned FitCircle as a health and nutrition startup that have positioned themselves as the first in the country to adopt this technology which was another key ask of the startup. The main purpose of the campaign was to drive consumer engagement and generate awareness on the startup and the technology being used by them creating a wave of social fitness in society through a team of expert coaches, nutritionists and health advisor offering personalized advice to users free of cost through its app. "We are impressed with Media Mantra's work for FitCircle. Chatbots being a rising & new concept globally - the team was able to pick up the domain knowledge quickly & deliver on it." Third party campaign view by Deepak Kapoor, communication specialist working with Perfect Relations Pvt. Ltd. and founder of 'The Commune', a community for media & communications professionals. 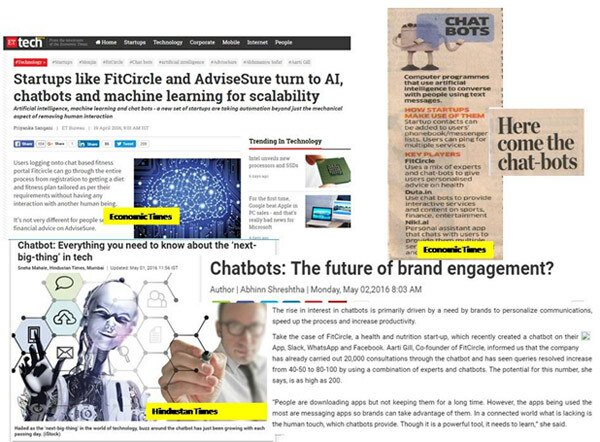 “Chat Bots’ campaign undertaken by FitCircle & its PR agency is a result of smart thinking depicting how an interesting feature of a product can be instrumental in brand communications. There are crucial factors which has worked in favour of this campaign. First being that this technology piggy backs on a startup, a segment commanding dedicated media attention in today’s time. Chatbots are unique, owning a global impression and an immediate correlation with virtual reality are some other factors. The stories garnered as part of this campaign did create awareness for Chatbots with FitCircle seen as a leading voice in majority of them. Today, the brand can be perceived as an early adopter of this nascent technology, making it easily available for people on its platform. Though the brief of the campaign was to secure media coverage only, a fair mix of consumer outreach initiatives and digital push could have further reiterated FitCircle as an authoritative voice on Chatbots. With frantic deadlines to meet and constant work related stress, health and fitness levels of print and TV journalists goes for a toss. Thus, an open house with media firms, giving an experiential exposure to Chatbots providing dedicated fitness programs, would have caught the attention of a larger media base. Remember, they are not only opinion shapers but also potential customers.